Relive summer memories and rekindle old camp friendships, or take a step back in time to the special place we call home. Our Alumni are always a part of camp and help to make it a stronger community. Second generation families have the unique opportunity of taking their camp stories and turning them into current experiences! Over 80 second generation campers and staff attended Summer 2016 at Camp Stein. That is very special to us! Ensure you know about our events, and the latest camp news! Alumni Weekend at camp in 2020: Stay Tuned! November 1, 2014 Wine, Cheese, and Reminiscing: This event had a great turn out! Alumni sorted through old pictures (that were made into slideshows on the Alumni Memories page! ), caught up with friends, and shared camp stories! Click here to see pictures. June 6, 2015 40th BIRTHDAY PALOOZA for CCP/Camp Stein! : This event had Alumni falling in love with camp all over again while celebrating camps 40th anniversary up in the pines! July 24th, 2015 Alumni Shabbat at camp: Alumni went to camp and experienced a Shabbat in action. This event was completely full, thank you to everyone who attended! September 25-27, 2015 Alumni Family Weekend: Many Alumni came to experience camp with their families! We celebrated Shabbat, enjoyed camp activities, and LOVED being back up at camp. All of the fun, excitement and love camp brought during the summer was packed into a weekend! July 22-23, 2016 Alumni Shabbat at camp: A great group of Alumni came up to camp for Shabbat to reminisce, see old friends and had a great time! This event filled up very fast, remember to RSVP early next summer! March 31, 2017 Alumni Evening with S’mores: Had a great time reminiscing and shmoozing with camp friends. Friday July 21st, 2017 Alumni Shabbat: A great group of Alumni came up to camp for Shabbat to reminisce, see old friends, have Shabbat dinner and had a great time! This event filled up very fast, remember to RSVP early next summer! 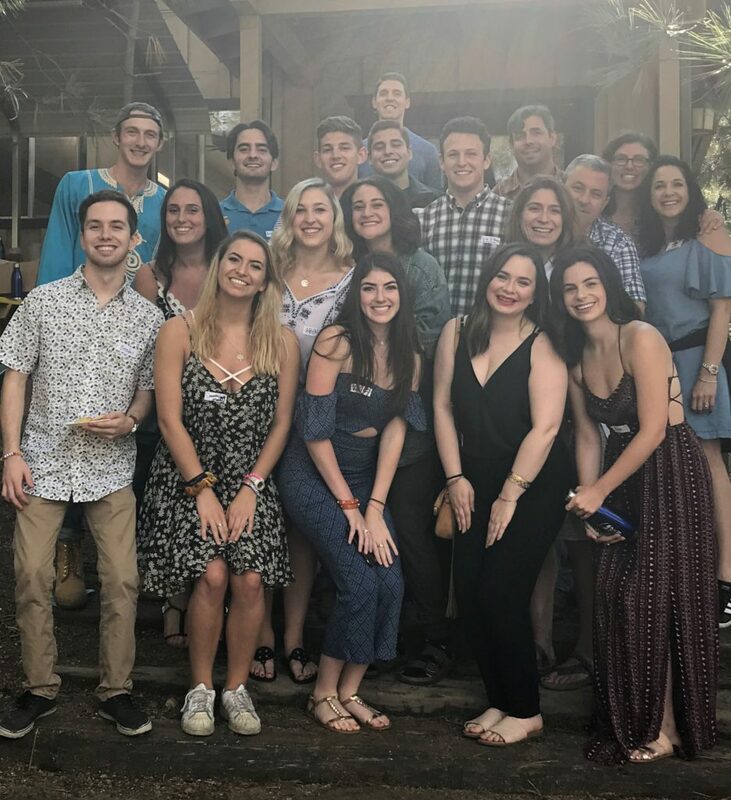 July 21, 2018 Alumni Shabbat: We had an amazing turnout at Alumni Shabbat this summer, as recent and past alumni came together for a Shabbat at camp. There have been decades of campers and staff that have experienced the magic of spending a summer at camp these past 40 years. We have created a new page that has slideshows from different decades at Camp Stein/CCP. Take a look at pictures from the past of campers just like you. Who knows, you could be in one of them! Click here to see slide shows! We want your pictures!! Like us on Facebook to share your pictures with us! Click on the button below to share any camp memories with us. Please keep in touch…we love hearing from you! 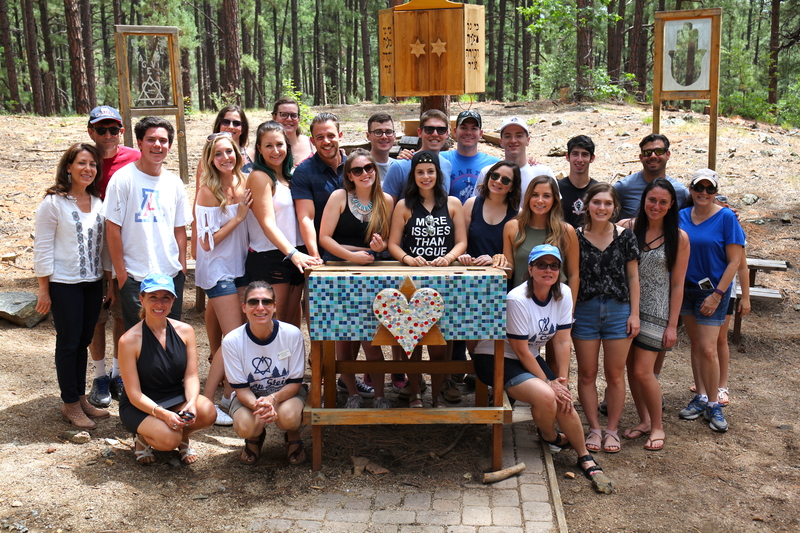 As CCP/Camp Stein Alumni, whether you spent one summer or ten in the pines of Prescott, AZ – you are a part of a family that has been thriving for 40 years. You have been a part of CCP/Camp Stein and you will remain a part of CCP/Camp Stein, helping to make it stronger all summer, all year, and beyond. Forever Connected! In honor of a Camp Stein counselor or staff member who created an amazing experience for your child this year. We will ensure that your honoree knows this experience meant so much to you. In appreciation for a Camp Stein program your child loves. To recognize occasions such as birthdays, anniversaries, B’nei Mitzvot, marriages, graduations and other celebrations. We will acknowledge this gift to the honoree. To provide the best possible camp facility for Camp Stein. Naming opportunities available. As a permanent legacy for you and your family as part of your estate planning through a Bequest, Charitable Gift Annuity, Charitable Remainder Trust or Gift of Life Insurance. By making a donation to Camp Stein, you will enable campers to feel the magic of our camp and create a Jewish connection that remains with them for the rest of their lives. The generosity of our Alumni, camp families and friends helps to ensure the forever of Camp Stein. Email Assistant Director Jennifer Walker if you have any questions or would like to participate in Camp Stein events. No matter where you go, no matter if you have been at CCP or Camp Stein for just one summer or for many, if you have been here, you take a bit of camp with you. We really are FAMILY.